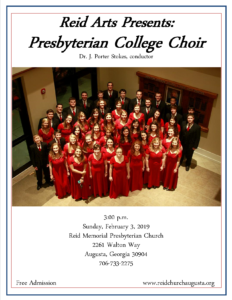 Sunday, February 3rd, 2019 | 3 PM | Reid Memorial Presbyterian Church The Choir from Presbyterian College will perform at Reid Memorial Presbyterian Church on Sunday, February 3, 2019. 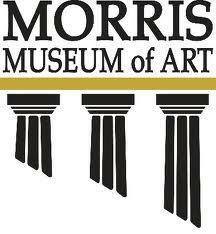 The 3 PM performance is free and open to the public! We have ample parking for buses and vans.